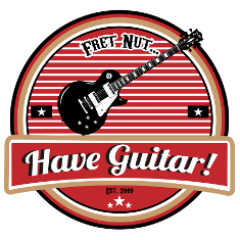 HowTo... Archives - Fret nut... Have Guitar! Work flow/process for doing a video by Have Guitar! Yep, not sure if this will interest the general population but I hope it can give some tips to someone looking to do videos for Youtube. In this video I simply go through the way I plan and record my videos… it takes some planning and the process as such is very much dynamic. There is always room for improvement! This is a short video showing how to hook up an external effect to the Kemper Profiling Amp through the effect loop, both in stereo and in mono. And that is it, not much talking and no playing what so ever – right on target without bells and whistles. Like this video? Please do subscribe to Have Guitar for more fun, interesting and educational videos! As always, a very Big Thanks to all of you already subscribing!! Allright, so here’s a Have Guitar-video on the topic of the built-in effects in the Kemper Prodiling Amp. It’s very basic, just to get you going, kinda like a start/tutorial video. But, also included is a section on how to connect an external stompbox through the Kempers effect loop. If you like this video… subscribe! It costs you nothing but gives great support to Have Guitar!